Come home to this immaculate, single level property at the top of sought after Santa Cruz Gardens. 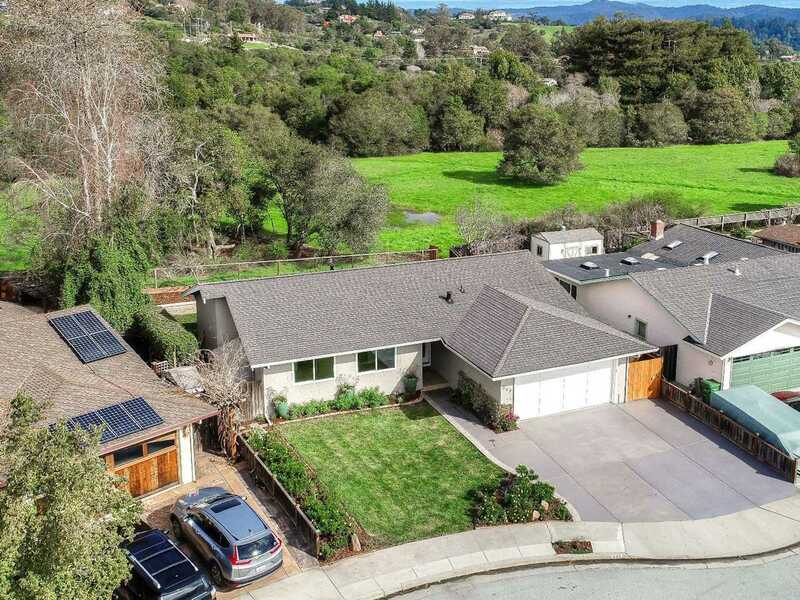 You'll appreciate this peaceful, sunny location adjacent to acres of pristine Redwood forest, Chaminade hiking trails and close to Secret Park and the award-winning Santa Cruz Gardens Elementary School. Abundant views of nature and fresh air from this updated 3 bed/ 2 ba, 1, 600 sf. home w/ two car attached garage, on a level 6, 000 sf parcel. Beautiful inside and out! Open great room, vaulted ceilings, gorgeous Granite kitchen w/ new Stainless appliances, light colored carpeting and laminate, tiled bathrooms, soaking tub, duel pane windows and freshly painted in a cool coastal color pallet. French doors off living areas open to a spacious concrete patio, and raised planting beds, an ideal setting for entertaining friends and family. Santa Cruz Gardens offers a Community Pool (with membership) and is just minutes to the Yacht Harbor and beaches of Santa Cruz. SchoolsClick map icons below to view information for schools near 643 Cabrillo Ave Santa Cruz, CA 95065. Santa Cruz Real Estate at 643 Cabrillo Ave Santa Cruz, CA 95065. Description: The real estate listing at 643 Cabrillo Ave Santa Cruz, CA 95065 with the MLS# ML81737258 has been on the Santa Cruz market for 74 days and is currently listed for $1,082,486. You are currently viewing the property details of the MLSListings MLS listing at 643 Cabrillo Ave Santa Cruz, CA 95065, which features 3 bedrooms, 2 bathrooms and has approximately 1584 sq.ft. of living area.